Cost to build a wooden carport varies greatly by region (and even by zip code). Get free estimates from garage, shed and enclosure contractors in your city. Cost to build a wooden carport varies greatly by region (and even by zip code). Get free estimates from garage, shed and enclosure contractors in your city. Building wooden carport costs around $7,200. How much does it cost to build a wooden carport? Carports are becoming an increasingly popular option for people who want to protect their car, boat, or other vehicle from the elements, but who do not have a garage. Because carports are open and take less material and time to construct than a garage, many find them a useful alternative. Carports come in a range of sizes, materials, and styles to complement any price range or property. The most popular size is about 20 x 20 feet, which is large enough to hold two cars. A wooden carport of this size costs around $7,200 when professionally installed over a concrete pad 1, attached to one side of a house, and with two additional walls. DIY kits and concrete footings are also available, which can cut the price considerably. Carports have many positive attributes that make them a great addition to a property. They are fast and easy to construct, going up in a matter of days, and costing less than half of a garage of the same size. Wooden carports can be designed in many styles and wood species and be attached to your home or built freestanding, so you have options for its appearance and placement. Carports may be open on all four sides, connected to a house on one side with the other three open, or they may have three walls and an open door as well as a roof. This allows you to customize the amount of protection it provides. Carports cannot offer storage or security, however, as the structure is left open. And while it can protect your vehicle from the elements, rain and snow can still infiltrate the area. Wooden carports can be made of many species of wood. 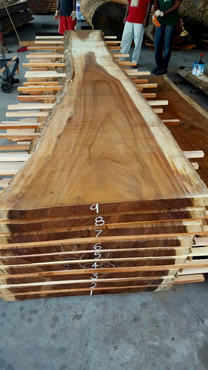 Some, like tropical hardwoods 2, which are becoming more popular for this purpose, can last for decades with little maintenance. 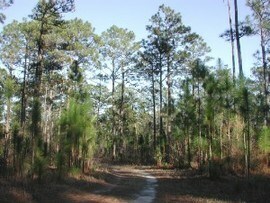 Other woods, such as softwoods, may need more upkeep and care to keep them looking their best. Any wooden carport requires painting or staining on a regular basis to help protect it from the elements, and wood may be impacted by insect activity and rot. 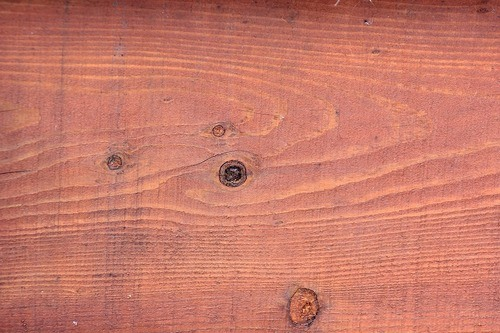 Wood is also not fire-retardant like a metal carport would be. However, wood is less likely to be dented by opened car doors the way that an aluminum carport would be, and wood is not affected by rust. From the framing lumber to the finishing material that you use to build your carport, several choices are available on the market. The framing lumber, which you use to build the bones of the carport, has fewer options available. The materials you choose to finish the structure, particularly if you enclose it, may vary more. In most cases, a wooden carport needs to be installed on a concrete pad 1. This is done for a few reasons: it gives greater support to the structure, holds up better long-term, and creates a level surface to build on. In some cases, a small carport can be built on concrete pillars or posts, but this is not generally recommended. The cost of creating a concrete base for your carport is around $1,200 if you do not already have a level slab to build on. Regardless of whether your carport is open or enclosed, a key component to the structure is the roof. Carport roofs come in many different styles and configurations from the simple to the elaborate. However, in most cases, carports are likely to make use of some type of roofing panel, either metal or plastic. Many carport kits utilize roof panels, as will carports built from scratch. The size of the carport’s roof will largely dictate the cost. In most cases, the price will be around $260 for an asphalt 5 roof and about $600 for a metal roof, assuming a 20 x 20-foot carport. These assume a roof with a moderate pitch. Higher or lower pitches, as well as domes, impact the cost. Labor for building a carport starts around $8 a square foot, accounting for roughly $3,200 of the finished carport’s cost. This includes the framing of the structure, roofing, and finishing. Painting or staining the structure costs more, at a rate of around $20 to $30 an hour. This cause prices to vary tremendously, as the carport may have three walls to finish or simply four posts. Assuming an attached carport with two walls, painting adds about $450 to the labor costs of the project. One consideration that needs to be made when installing a wooden carport is the associated maintenance. 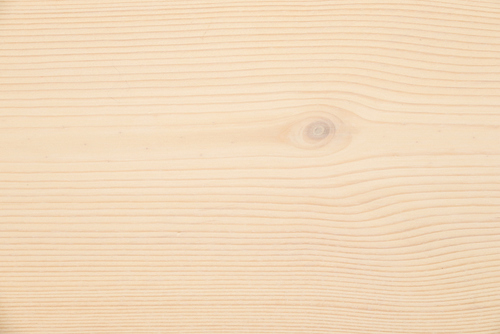 Like all wood products exposed to the elements, it will require some level of care to ensure its longevity. 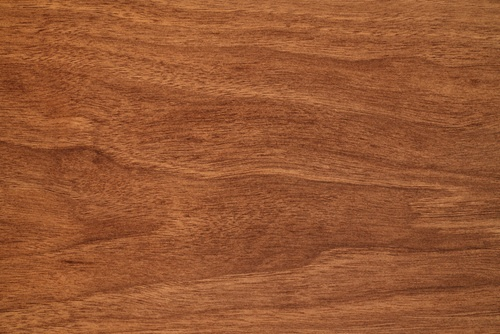 Wood products must be painted or stained to protect them from moisture. The carport will, therefore, need to be periodically scraped and repainted or stained to help protect it from the elements and keep it looking its best. 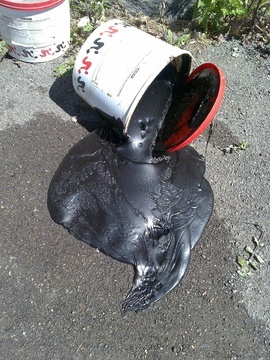 In addition, the roof needs to be regularly inspected for leaks. One reason why metal and plastic panels are so popular as carport roofing materials is that they require less maintenance than asphalt 5 and other roofs. Keep vegetation away from the carport because this can cause the wood to rot if plants or vines trap moisture against the wood. Wood is not the only material that carports may be built from. Steel and aluminum are both popular materials that are frequently sold as prefab carports or as kits that can be DIY or professionally installed. Wooden carports are assumed to be permanent structures that you build on your property and leave there. But a portable carport can also give your vehicle shade and protection from the weather. Portable carports are much less expensive than permanent structures. They may have fabric or metal roofs and usually use aluminum or steel frames that can be easily fit together and taken apart again. Their costs start around $400 and can go as high as $1,200 for more luxury models. They are almost always put together on site by the homeowner, but some companies will install their own product. In addition to standard carports, you may wish to make different enhancements or improvements. Most carports are fairly plain, meaning simply a covering for your vehicle. However, some enclosed carports may need lighting as well. Electricians cost around $65 - $85 an hour. The amount of work you need depends on how far away the carport is from your home and how much lighting you want to add. While most carports are single or double, it is possible to make them even larger. At a cost of about $18 a square foot, you can add an additional spot for around $2,000. If you have a wooden carport, you will likely want it painted or stained to help protect it. Painting costs are around $450 for most carports. Solar carports provide a cover or shade for your car, while also harnessing the sun’s rays to help power your home. Solar carport costs start at around $5,000 for the panels added to the price of the rest of the structure. Flat roofs are common on carports, but they are more likely to leak due to standing water concerns. For that reason, most carports have a cantilevered roof if they do not have a traditional slope. Your carport may be painted or stained to help match the rest of your home’s exterior. Carports can be found in an extensive range of sizes. For two cars, 20 x 20 feet is the typical size, but you can have a carport built to accommodate any size vehicle. Wooden carports may not resist bad weather as well as other materials. 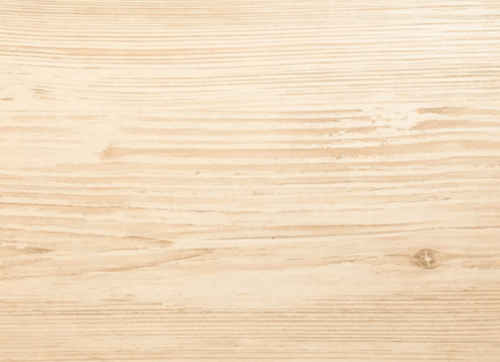 Purchasing a weather-resistant wood and keeping it well-maintained can help. The location of your carport can also vary. Many people attach them to their homes, but the only requirements are that the area is level and convenient to where you want to park. If you are using an open structure, you may want it to be protected from the wind as well. Depending on where you live, you may need a permit for your carport. Temporary or portable carports do not need permits typically, but permanent structures are likely to require them. Always inquire with your city or town before you begin. Carports do not increase the value of your home the way that a garage will, but a wooden carport can make your property seem more attractive to buyers, particularly if there is no other parking on the property. How much does a wood carport cost? 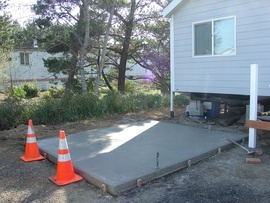 A 20 x 20-foot wooden carport costs around $7,200 installed, including a concrete pad 1 and finish work. How wide does a double carport need to be? A double carport typically measures around 20 x 20 feet to give adequate space for two vehicles. How much is it to build a carport? Carport costs vary depending on size and material. An average wooden carport will be around $18 a square foot to build. 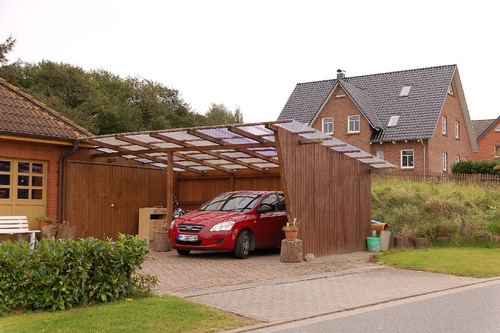 How much does it cost to build a wooden carport in my city? Cost to build a wooden carport varies greatly by region (and even by zip code). To get free estimates from local contractors, please indicate yours. 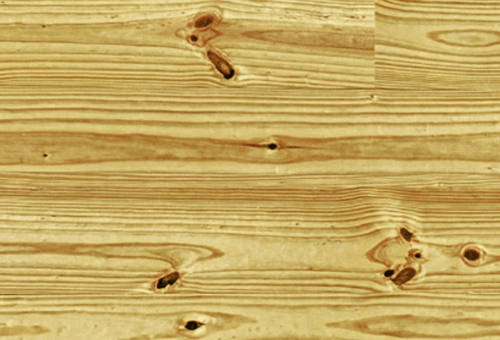 An acronym for Southern Yellow Pine, a group of three-needled pines commonly used as construction materials in the United States. Cost Considerations: SYP is abundantly available and competitively priced. It generally runs between $2 and $2.50 per square foot. Tree with reddish colored timber.